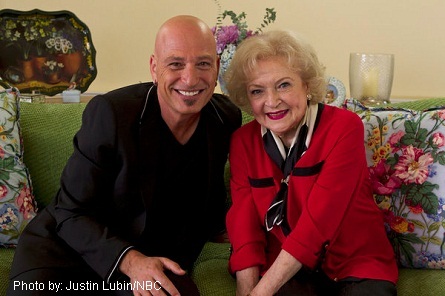 In an NBC interview, Mandel said he is a huge Betty White fan and considers his guest spot on “Off Their Rockers” as a check he can mark off on his bucket list. The hidden-camera aspect of the show hits home for Mandel – not only does he also have his own hidden-camera show, “Mobbed” which airs on FOX, but classic hidden-camera show “Candid Camera” hosted by Allen Funt, was the inspiration for his pursuit of a stand-up comedy career. Other celebrity guests this season on “Off Their Rockers” included: Kim Kardashian, The Housewives of Beverly Hills, Nick Lachey, Nene Leakes, Ed Asner, Nicole Richie.